Sony has told TechRadar that the PlayStation Network is not moving to a paid-for model, with the basic service remaining free despite rumours to the contrary. A slide from a presentation led some to question whether the PlayStation network was going to remain free. The slide suggested that PS was a key advantage and would provide a 'new revenue stream from subscription'. Currently, one of the big selling points behind the PS3 is the free networked games service – something that the Xbox does not offer. 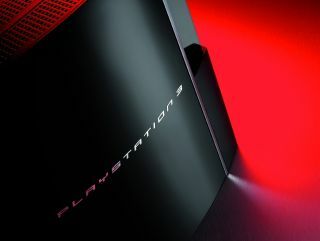 A spokesperson from Sony Computer Entertainment Europe told TechRadar that, although new ways were being sought to offer premium services, the core offering would remain free. "However, the core offering will continue to remain free." The quotes echoed those of a statement by Kaz Hirai to clarify the slide. "SCE will further increase sales by offering users new entertainment through the combination of hardware, software, peripheral and PlayStation Network," said the SCE boss. "Especially in the online area, we are studying the possibility of introducing a subscription model, offering premium content and services, in addition to the current free services."